The Leica DD SMART utility locators and DX Shield software open the door to a connected world, anywhere, anytime. 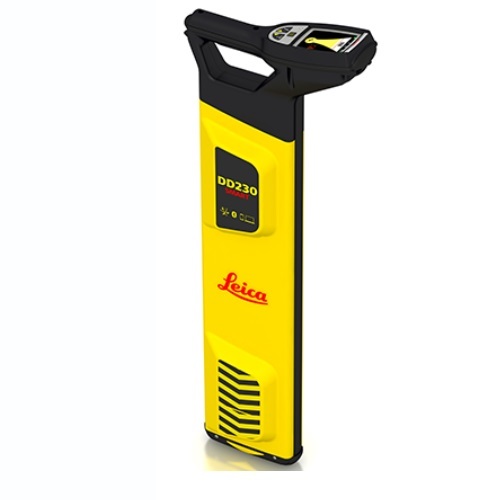 Leica DD SMART utility locators detect underground assets deeper, faster and more accurately. Understand site activity and utility locator use in greater detail with DX Shield software. The DD230/220 SMART locators are scalable and designed with the latest Bluetooth technology, providing a wire-free connection to mobile devices. Easy to use and learn with on board video support. Intuitive hardware and software significantly reduce errors. With on board locate alerts and an automatic locate process, the DD SMART locators help to reduce time spent locating buried utilities and prevent utility damage. DX Shield software provides a space for utility analysis and a convenient connection between SMART locators to increase productivity and save time. Connect your DD SMART locator with the DX Field Shield app to enable automatic data synchronization and access your collected data using your mobile device - The DX Field Shield app provides operators with a remote transfer tool, linking data from the site to DX Manager Shield or DX Office Shield. DX Manager Shield provides organisations with a centralized hosted platform for multiple users, across multiple sites. The site notes and photos from DX Field Shield document site activities. DX Office Shield provides organisations with a scalable local solution on a single-source platform. GPS**: Chipset (1): u-blox®GPS, Receiver Type: GPS L1C/A, SBAS L1C/A, QZSS L1C/A, GLONASS L1OF, BeiDou B1, Accuracy (2): Horizontal Position 2.5 m, Autonomous, 2.0 m SBAS,CEP, Start time: Cold 45 s typical, Aided 7 s typical, Hot 1 s typical (** (1) All data/information according to manufacturer u-blox®GPS; Leica Geosystems does not assume any liability whatsoever for such information.